BEST offers a variety of analytical testing services to help you spot and trend defects, process or part changes. Visual, Endoscopic, and X-RAY inspection , as well as dye and pry inspection services are offered by BEST in order to help you diagnose and troubleshoot and sort out a variety of defects. Our highly trained staff is able to assist you in analyzing specific defects. BEST can be your "referee" resource when clarification is required regarding a PCB or wire harness acceptance standard interpretation. Our Master Instructors, who are military trained and have been Master Instructors for the IPC A 610 courses for many years can provide a "third set of eyes" when an issue arises in the PCB assembly process. We can provide a detailed report for refereeing purposes. When you need an outside expert opinion, or when you need to determine the existence of a PCB assembly process problem. 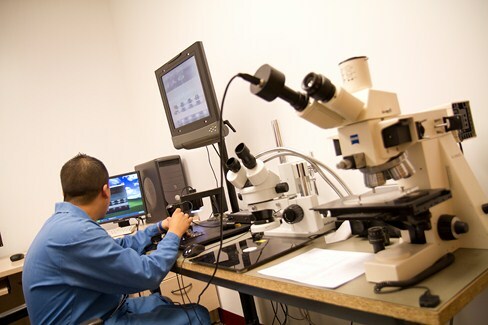 BEST uses a dedicated BGA/CSP endoscopic inspection tool in order to see underneath SMT parts. Defects like opens and voids are some times difficult to discern-even with XRAY equipment. That is why BEST has the latest in inspection tools available for its customers including a high-powered endoscope system that allows BEST technicians to actually see underneath BGAs, CSPs and even flip chips. 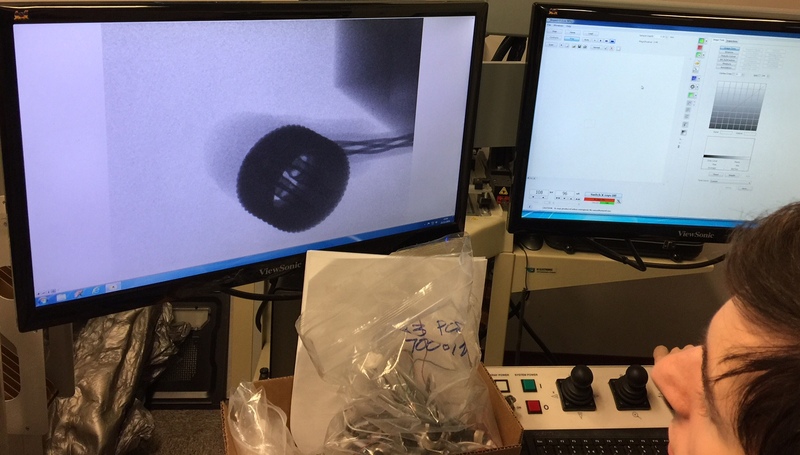 Several characteristics of the solder ball can be determined with this tool. The actual standoff height, as well as degree of warpage, can be measured. Capture software allows for both absolute and relative measurements. This allows BEST to help you set up QC measurements for real-time references for the boards being inspected. Several defects can be measured and recorded via .jpeg or .mpeg images. 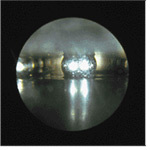 For example, solder joint cracks in connections inside, outside or under the component body can be seen. 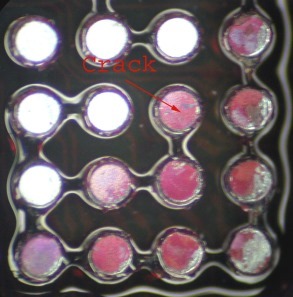 Micro-cracking of the component body (popcorn effect) without component removal can also be seen using this tool. In addition, flux residue trapped under the component after soldering can be documented. X-ray inspection has become a generally accepted method to control the quality of board assemblies and to analyze defects of hidden solder joints. It is key to efficient implementation and monitoring of the reflow process for BGA, CSP and flip-chips. For optimal use of this tool both the right equipment along with a properly-trained staff, which can properly interpret the results and their relationship to process and component variables, should be used. BEST’s high resolution video inspection services are backed up by high precision metrology equipment. We have both manual and automated tools, all of which have been routinely factory calibrated These tools allow us to resolve measurement to less than a micron. If you need precision measurements of your components, PCBs or other high precision parts then BEST’s high resolution video measuring services may be your solution.